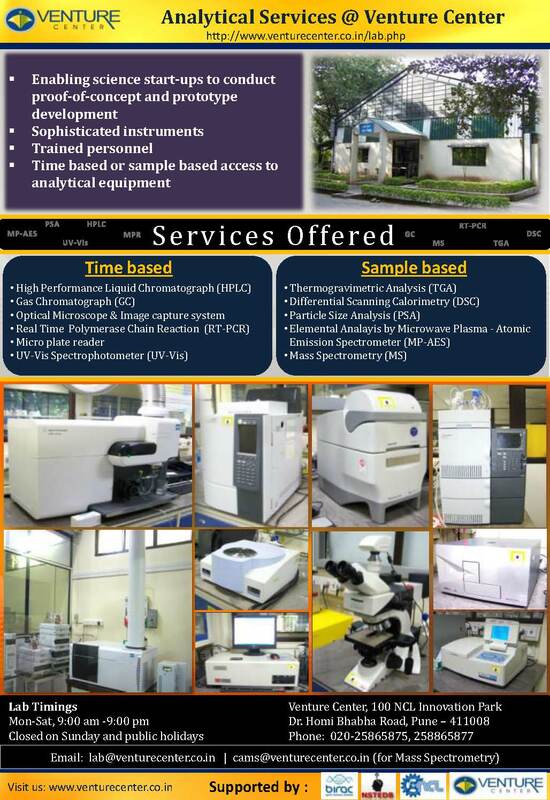 The Venture Center is India's largest science business incubator. The Venture Center is a technology business incubator specializing in technology startups offering products and services exploiting scientific expertise in the areas of materials, chemicals and biological sciences & engineering. Venture Center strives to nucleate and nurture technology and knowledge-based enterprises by leveraging the scientific and engineering competencies of the institutions in the "Pune region" in India. The Venture Center aims to empower and enable scientists and engineers in pursuing technology, innovation and entrepreneurship objectives. 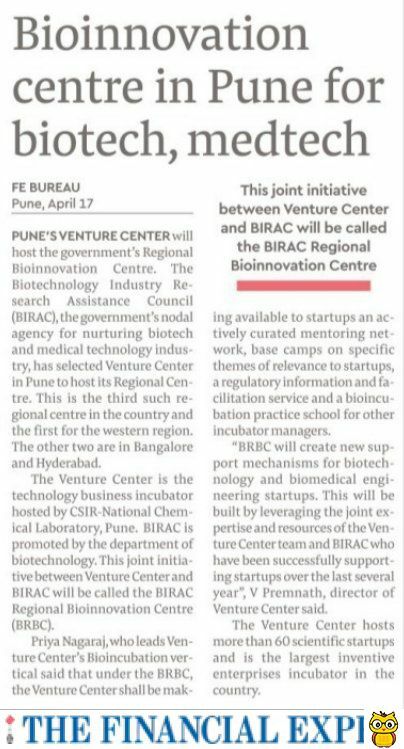 The Venture Center is the trademark of Entrepreneurship Development Center, a not-for-profit company hosted by the National Chemical Laboratory, Pune, India.